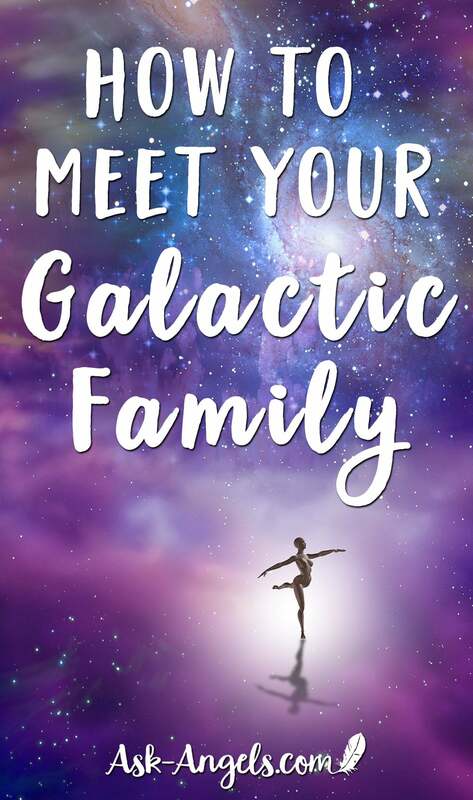 If you feel that you have Galactics, Arcturians, Sirians, or Pleiadians on your team, this is exactly what I'm talking about when I say Star Family. Although our star families are often more highly evolved, this does not mean we are inferior. In fact, the reason why there's so much attention and energy on planet earth at this time is because humanity has an unprecedented opportunity in this physical lifetime to fully embody 100% source God consciousness. It’s essential to let go of fear. They don't want to scare you. If they reach out to make the connection and you respond with terror and fear, they're going to back off and not reach out because that fear energy limits your growth and limits your potential. Your star family wants to help you ascend and triggering fear to make the connection has an adverse effect on that process. If they're not, they may shrug their shoulders and walk away or they may say, “Oh no, you got me.” That’s when you release them and call in your star family, who are of Christ consciousness, because that’s who can help you ascend and who are worthwhile to connect with. There are thousands of different Galactics in all kinds of different shapes, sizes, colors, and dimensions. Open your heart and ask them to make the connection.